Concert to Celebrate the 500th Anniversary of the Reformation! A reformation celebration concert was held on Sunday, October 29th, featuring the choirs from Logan Memorial Presbyterian, Haddon Heights First Presbyterian, UMC of Audubon, and the UMC of Haddon Heights. What a blessing it was! On Sunday, August 13th, following worship, members of our church family took their annual trip down to Maryland to enjoy lunch and spending time with each other. The weather was perfect and the food was scrumptious! Our Members Participating in the Audubon Fourth of July Parade! 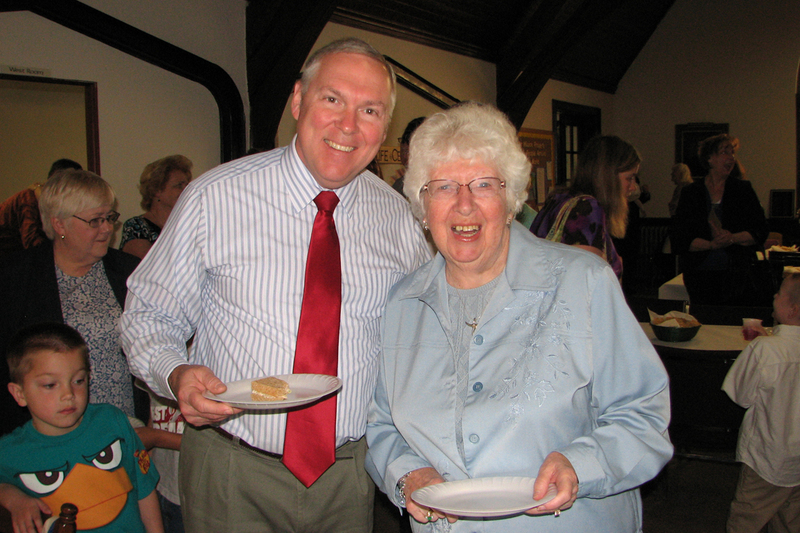 Virginia Mahon, Church Secretary retires after almost 20 years!